Liverpool manager Jurgen Klopp has named Manchester City as the strongest team in Europe right now as the Champions League knockout stages begin this week. Pep Guardiola’s side have a comfortable 16-point lead at the top of the Premier League table and kicked off the second half of their European campaign with a thumping 4-0 victory away to Basel last night. It’s little surprise Klopp has been impressed by City, having had a good look at them himself in the English top flight this term, even if he did recently lead Liverpool to a surprise win over the Sky Blues. Guardiola has twice won the Champions League during his spell as Barcelona manager and his know-how in this competition alongside the sheer depth and quality of this City squad may well make them favourites for the trophy this year. Still, Barcelona and PSG are just two other top teams enjoying comfortable campaigns in their domestic leagues, so it’s a pretty big call from Klopp to put City above two such quality sides, not to mention other big names like Bayern Munich and Juventus who will also feel they’re in the running. 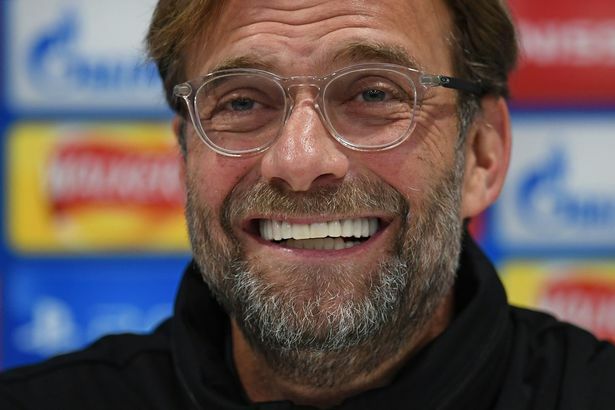 ‘I think probably the strongest football team in Europe at this moment is Manchester City,’ Klopp is quoted in the Metro. ‘So we played them twice already at the highest level. ‘PSG is a little different, but I don’t look at them, I know it already (we can compete with them). If we meet them (City) then we could beat them. That is how it is. Liverpool play Porto tonight and will be hoping to be in with a chance of winning the Champions League for the sixth time in their history.